Rao, Reddy Patnaik alliance: Would chickens come home to roost for BJP? The AMMK is contesting 38 of the 39 seats in the state and Dhinakaran had earlier announced candidates for 24 seats. It has alloted Chennai Central constituency to its ally Social Democratic Party of India. 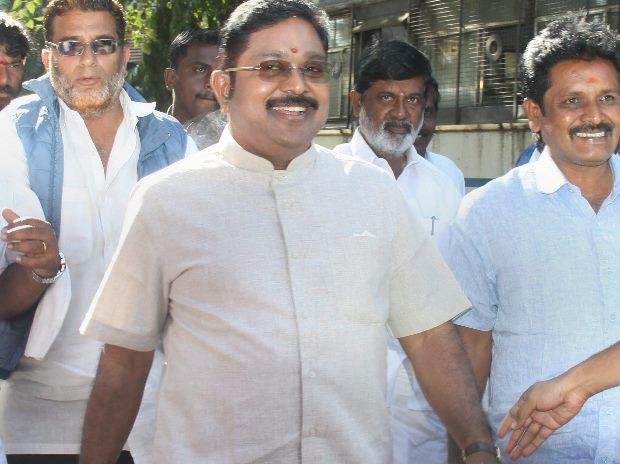 On Friday, Dhinakaran released the list of the 14 candidates, including close aide Thanga Tamilselvan who has been fielded in Theni constituency. He will take on AIADMK Coordinator and Deputy Chief Minister O Panneerselvam's son P Ravindranath, who is making his electoral debut. N G Parthiban and P Palaniappan are the other disqualified MLAs who have been nominated by Dhinakaran. They will contest from Arakkonam and Dharmapuri seats respectively. Eighteen AIADMK MLAs loyal to Dhinakaran were disqualified in 2017 by Assembly Speaker P Dhanapal for revolting against Chief Minister K Palaniswami. Dhinakaran also announced the second list of candidates for the April 18 byelections scheduled for 18 assembly seats in the state, mainly caused by the disqualification of the AIADMK MLAs.